In this episode – Continued reading of History of Great American Fortunes by Gustavus Myers. Includes Part II, Chapter III: The Growth of the Astor Fortune. Astor’s Living Conditions. Astor Above the Law. Astor and the China Trade. His Ships Unmolested During the War of 1812. Fraud Permeating All Sectors of Business. Astor Purchases the Morris Estate. Public Uproar Over His Land-Grabbing. Sells Land to Government At Five Times Its Price. Land Grants From Corrupt Government Officials. The Plunder of the New York Treasury. The City Gives Away Land. Huge Favors From New York City to His Benefit. Astor Preys On Others Misfortune. In this episode – Continued reading of History of Great American Fortunes by Gustavus Myers. Includes Part II, Chapter II: The Inception of the Astor Fortune. Astor’s Early Career. Incorporation of the American Fur Company. Expedition to Astoria, Oregon. Accusations of Treason During the War of 1812. Astor Brazenly Violates the Law. His Armed Agents in the West. Swindling the Indians with Whiskey. Numerous Pleas for Justice Sent to the Secretary of War. The Indians Paid With Overpriced Merchandise. The Traders Rig the Scales. Indians Revolt Against These Injustices. Indians Murdered by US Military. Astor’s $500,000 Annual Revenue From Fur Trade. His Agent’s Meager Earnings. $35,000 to Lewis Cass, Secretary of War. 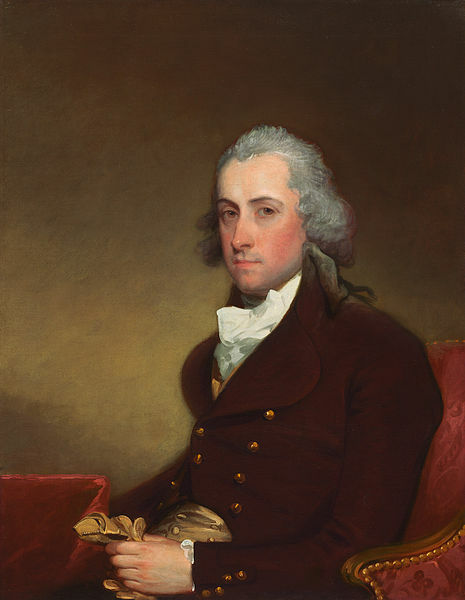 Stephen Van Rensselaer III – the last patroon in an American feudal dynasty. Died 1839. Many writers and commentators of the present day have often remarked that America is moving ever closer to that distant and extinct mode of society, feudalism. In this hierarchy, power is derived from the owning of property, particularly land, on which the masses must toil and eek out an existence as vassals, in exchange for protection from the land-holding lord. The feudal lord had absolute dominion over the land and his tenants, creating the laws, exacting tribute, marshaling a police force, and dispensing justice. While the exact functions of the system 600 years ago are a bit outdated, the general concept can still be readily applied. The exploited masses woefully indebted, and laboring for a mere subsistence as slaves to a small group of wealthy elite, may sound shocking. Yet it is a pattern perhaps, that some in our society are beginning to see. It has been termed in the alternative media as neo-feudalism, a more recent incarnation of the old system. But just how distant a relic was feudalism? If you have been following our podcast series on the History of Americas 1%, then you will know that land lords with feudal rights colonized America, particularly in New Netherlands (which eventually became New York). In Parts 1, 2, & 3, we touched on many of the old landed aristocrats, one of the foremost being the Van Rensselaer estate, which comprised a large chunk of New York. These feudal lords remained intrenched there, exacting a ferocious and arbitrary rule over their territory. However, with the American Revolution came sweeping changes of freedom and manhood suffrage and wiped out the old feudal conditions. Or did it?